UP Basic Shiksha Adhikari Recruitment 2018 Samvida Vacancy of BSA, Anudeshak, Teacher & Clerk in UP Zila Basic Shiksha Adhikari Recruitment 2018. 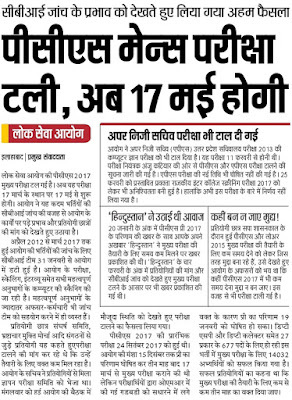 UPPSC Admit Card 2018 Download Pre Mains Calendar Exam Date Interview Call Letter UPPSC Lower Subordinate Admit Card 2018 from www.uppsc.org.in. 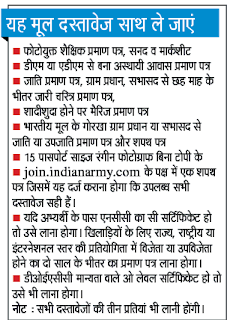 Army Bharti Online Form 2018 is invited from recently passed candidates of 10+ 2/Intermediate to apply online for Recruitment of Soldiers in various trades in Indian Army Sena Bharti Open Rally 2018. 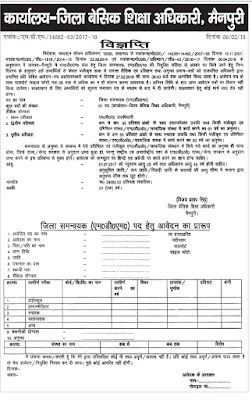 UP District Coordinator Vacancy 2018 Apply Online for Jila Samanvayak Bharti, Jobs Notification, Latest News, UP District Block Coordinator Vacancy 2018.